This yearly German inspired beer festival is a local hit! With many food vendors, authentic German food, a children’s garden, and for the grown ups a beer garden. 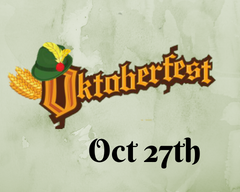 Plus traditional Oktoberfest games, costume contest, even a dachshund contest and much, much more!